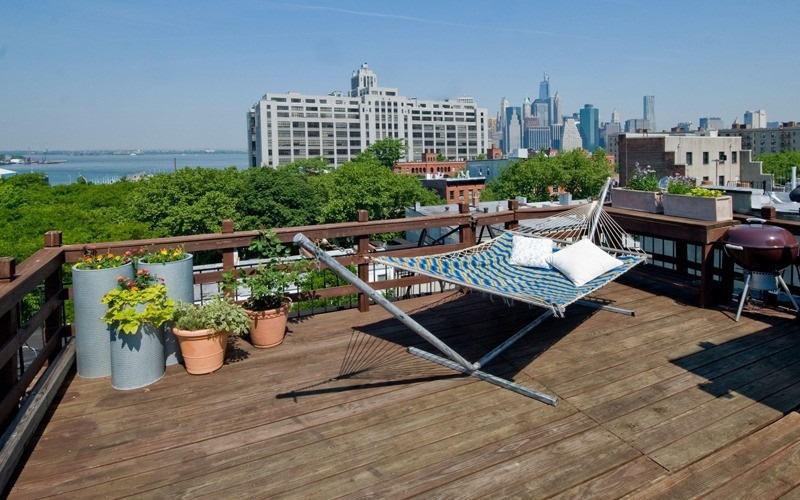 Want a relatively move-in ready apartment with a view of everything NYC has to offer? We don’t blame you. And you’re apparently not the only one: this week’s edition of StreetEasy’s Most Wanted--the 10 sales listings StreetEasy users saved more often than any others this week--highlights three renovated apartments with views for nearly any taste. A $925k two-bedroom, one-bathroom co-op on Hicks Street and State Street in Brooklyn Heights features a 350-square-foot private terrace with views of the city skyline and the harbor. Plus, the master bedroom offers treetop views and overlooks brownstones. There are six large, double-glazed windows throughout. The full-floor apartment has a renovated kitchen and modern conveniences such as a washer-dryer combo and dishwasher; a wood-burning fireplace adds charm. The 4-unit building has been preapproved for lending (financing can be a problem in very small buildings). Cons: It's a walk-up. Over in Manhattan in the far West Village on Christopher Street between Washington and West Streets is a renovated two-bedroom, two-bathroom co-op plus home office on the market for $1.25m. It has six windows, with west and east exposures overlooking Washington Street. 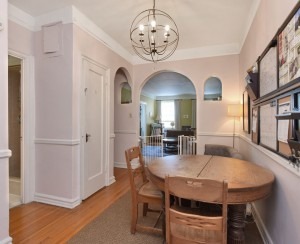 The renovation includes custom built-ins, recessed lighting, hardwood floors, skim-coated walls and more. Pets are allowed, and the post-war building has a live-in super as well as a part-time doorman and parking garage. On the Upper West Side, there’s a relatively new-to-market $699k two-bedroom, one-bathroom co-op on West 89th Street between Amsterdam and Columbus Avenues with views of treetops as well as the city. Both the living room and master bedroom face south and are flooded with sunlight during the day. The split bedroom layout provides plenty of privacy. The building is located between Riverside and Central Parks, as well as the West Side Community Garden. The apartment is a three-flight walk-up--with a full-sized washer-dryer eliminating a few hikes each week. To browse more move-in ready apartments with desirable views, click through the rest of the Most Wanted below.